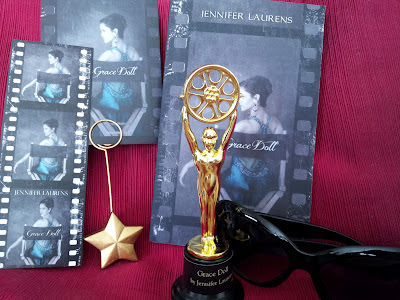 Welcome to this stop of the Grace Doll blog tour! I have an interview with the author of the book, Jennifer Laurens, and a giveaway for all of you today, which I hope you'll enjoy. Grace Doll is a famous actress and I couldn't help but think of Marilyn Monroe while reading the book, since there are so many theories about her life and death. Was Grace's character inspired by the life of any Hollywood star in particular? Hollywood's always been an interest of mine -- made more keen by working in the business. I've read many biographies and Marilyn, Shirley Temple, Mommie Dearest, Grace Kelly were all fascinating. I'd have to say that where none were the direct inspiration for Grace Doll, there were aspects of the actresses lives that provided fictional details such as Louis B. Mayer had an extensive, elaborate "cottage" built for Shirley Temple ( as her dressing room ) that I borrowed from for Rufus Solomon building Grace a "cottage" on the studio lot. In the beginning of the book we follow Grace's point of view, but later on we change to Brenden's. How come you chose to write the book this way? The story is both of theirs---two people brought together by the one man who linked them both: Brenden's father. It was a creative challenge I wanted to take on as well. Rufus Solomon is described as a monster. His love for Grace is sick and I wouldn't want to meet him in a dark alley. Are there any redeeming qualities about him at all? None in this part of the story, no. 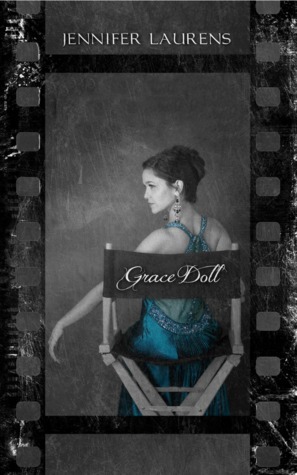 If Grace Doll was made into a movie, who would you like to play Grace? An actress who could capture the fine nuances of her years but retain her innocence and youth, captured at seventeen. A big thanks to Jennifer for taking the time to answer the questions for this wonderful interview! Jennifer Laurens will be giving away an awesome grand prize; a SIGNED copy of Grace Doll and red carpet swag. To participate fill in the Rafflecopter form below. Spændende at se en blog tour på en dansk blog. Sejt. Nej, jeg ville ikke være udødelig. Jeg tror at livet er mere spændende når man ved at det har en ende.